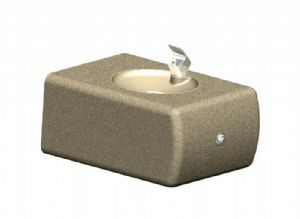 Concrete Wall Mount Fountains | Petersen Mfg. Co. Inc.
Precast concrete wall mount fountains are built to meet or exceed any industries standards for strength and durability. Also, all of our products are available in a wide variety of aggregate textures and colors to put that finishing touch on your project. 19 1/2" x 14 1/4" x 9"
Dimensions 19 1/2" x 14 1/4" x 9"